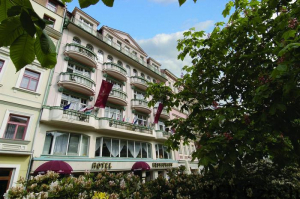 Spa EA Hotel Jessenius is situated on the main boulevard near the colonnade and provides its guests with comfortable accommodation in pleasantly furnished rooms. Advantages offered by this hotel include in-house spa therapy facilities with a wide selection of spa procedures. 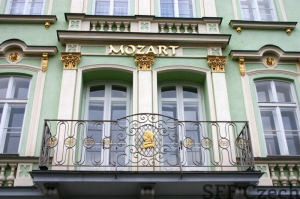 Hotel Derby is located in the vicinity of the Elisabeth Spa and spa park. 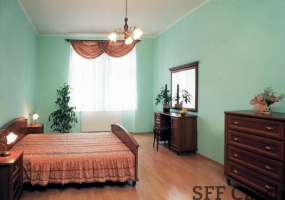 It offers comfortable accommodation in elegantly and stylishly furnished rooms and apartments equipped with a satellite TV, direct-dial telephone, refrigerator and safe-deposit box. 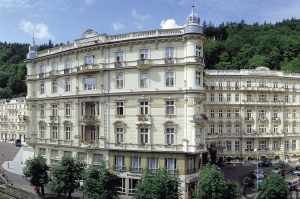 Elegant Art Nouveau façades adorn the six separate houses that make up the 4-star Superior Dvořák Spa Hotel, bearing evocative names that reflect their glamorous past. Inside lies a modern spa hotel. The heart and soul of the hotel is its spa and wellness department. 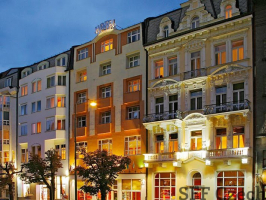 In two connected buildings, River Side and Park Side, the Grandhotel Pupp complex offers 228 rooms in the categories of Comfort, Superior, Superior Plus, Junior Suite, Premier Suite and Apartment. The ground floor of the hotel features restaurants, a café, bars, a boutique zone and a hairdressing salon.